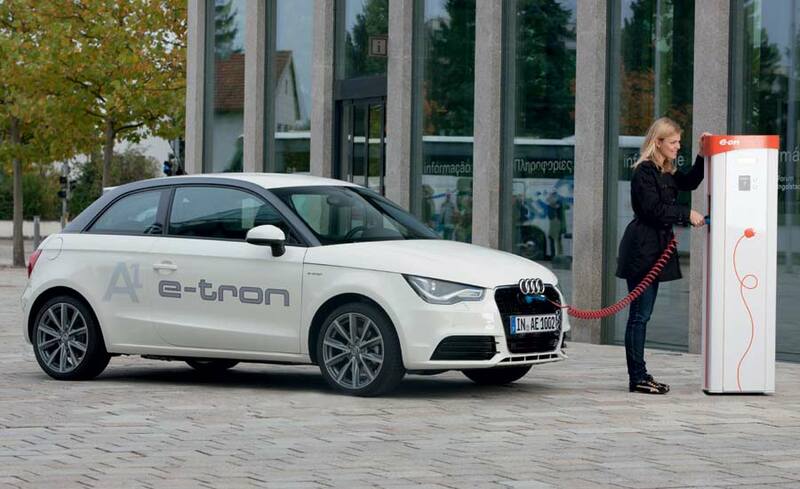 Beginning today, Munich’s streets will be home to 20 Audi A1 e-tron models as trials of the compact city car take place. E.ON, SWM (Stadtwerke München) and TUM (Technische Universität München) will be joining Audi in the project, with E.ON and SWM providing support to the cars by way of maintaining the Bavarian city’s charging network. The A1 e-tron plug-in hybrid, which is powered by an electric motor producing a continuous 45 kW (61 hp), peaking at 75 kW (102 hp). Capable of travelling upto 50 km (31 miles) purely on electricity, the A1 then calls on a range-extending 254 cc Wankel engine which charges the battery, providing enough energy to cover an further 200 km (124 miles). “We want to use this fleet trial to learn more about our customers’ usage of electric cars, and their expectations in this regard. We are planning additional fleet endeavors in strategically important markets,” said Audi’s Head of Electric Mobility Strategy, Franciscus van Meel. The A1 e-tron competed in this year’s Silvretta Electric Car Rally, in July, where it completed the 307 km course without a hitch, though the mountains of Austria, finishing in first place.